MTM2.com • View topic - Combos Snacks! Deciding to start off fresh over here, Hopefully many can do the same and we can y'know, All mend fences and just have fun with the game, So I am going to start posting some of my work over in these forums for you guys to check it out before posted! 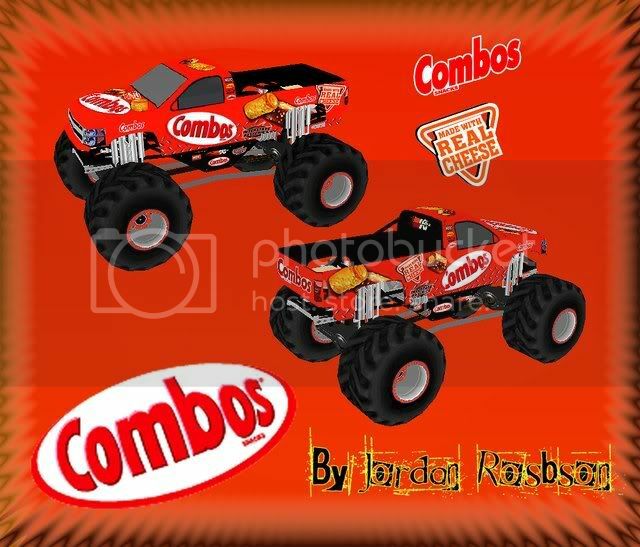 Here is a Combos ride I came up with, I really love this look! Hope ya like, If enough interest I will post her! Look for more soon. 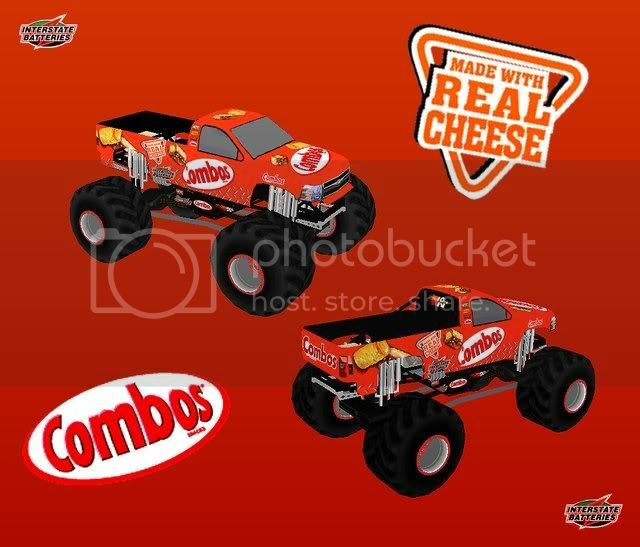 Post subject: Re: Combos Snacks! Looks nice. Axle bars connecting to the chassis are a little off but that's it. Combos taste good too. That is a cool looking truck. Did not get much time to do much on it tonight, but I did a few things, I am hoping to release all my customs with an update to this one in the next week hopefully. I really hope you guys like this one. It doesn't show up in the drive in page. Has an error. This is what I got. It looks like the body model is either missing or corrupt. 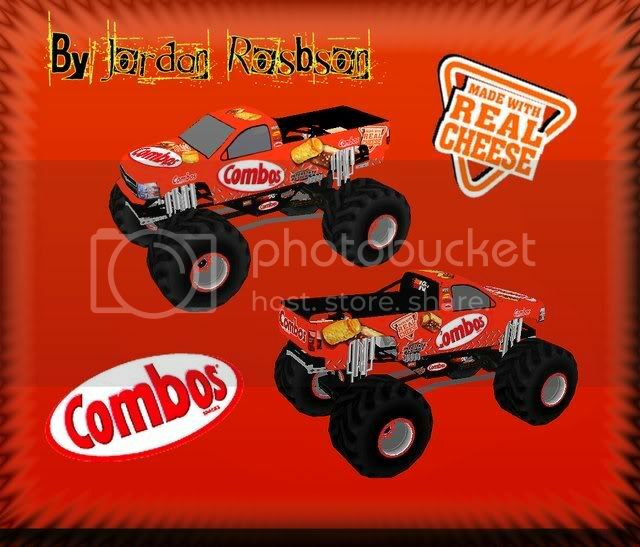 Great truck, I love combos! Same, I like this truck too.. lol. That is a really nice truck. Phin, or another mod please delete the one I had posted earlier, I am trying to fix this one. I don't know what the problem is you guys, It works perfectly fine in my game but I guess for others it does not. I have sent out this latest "version" but I am getting the same "it is not working". IDK.. Gah! How hard would it to be to redo that model ? Perhaps TRK mess-up ? It does work in game now! 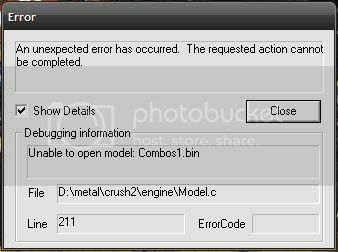 EDIT- Some how its my game that crashes on customs monster trucks. http://teame2r.org -- Check it out! Old one removed from page. Breezer, try turning off reflections in graphic options. Just given her a spin on Crazy '98, very nice fun truck. Good work on the logos Kasey9Fan, but the axle bars still aren't connected to the chassis.